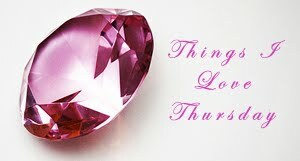 Forever out of place: Things I Love Thursday. A call from work to tell me tomorrow I am going to sign my new contract. I am so happy! Weekend in Venice! It was so nice an relaxing, I had a wonderful time walking around the city with my cousin, looking at art, shopping, drinking cocktails and eating sweets..
New, totally unnecessary shoes - and wearing them to go nowhere in particular. Getting compliments every time I wear my purple skirt. It must have something magic in it! Finishing a really good book - and being sorry it's finished already! And getting a new haircut soon!